Half Marathon number 4 in my repertoire seriously needed something different, how many Robin Hood’s get boring…..well 3 actually. 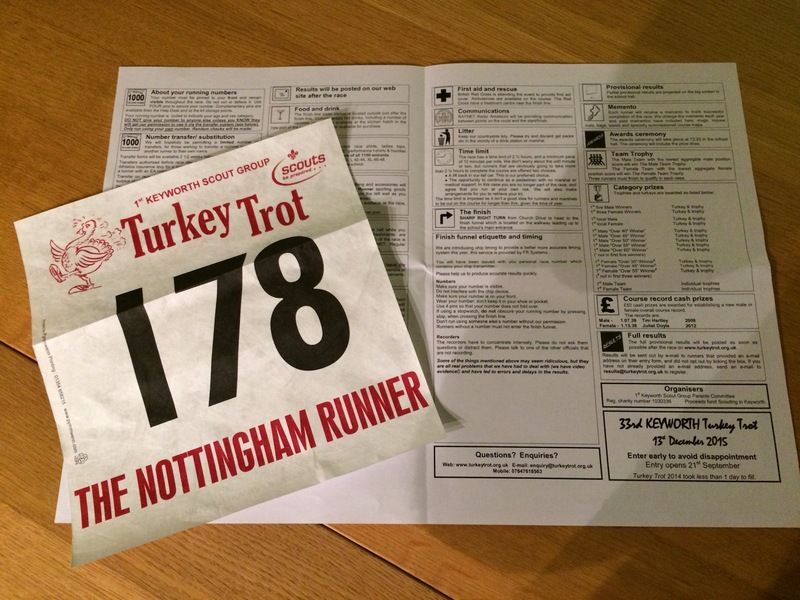 You can’t be part of the Nottingham running fraternity and not hear about the December Turkey trot. Its a challenge, its quite small at 1100 runners and for all us dedicated running enthusiasts it keeps you at the 10 mile plus mark after the Robin Hood half marathon and stops you hitting the mince pies and Stilton cheese too soon in the festive period. It sells out faster than Heston’s Christmas puddings and so Ellie and I gamely vowed to enter it during our recovery run after the Robin Hood. Noted in my work outlook calendar, first job of an October day was to enter the race. Forget a meeting, priorities are priorities, this race is a sell out in a couple of hours……and we were in, it seemed such a good idea at the time. We read the description as ‘undulating’…..we read between the lines, ‘hilly as f–k!’ and we mercilessly ran up and down nearby Selby Road to ensure we were ready. The running club use Selby Road too on a different night, I don’t now what tricks and techniques they use, we just run up and down it again and again like nutters. Its a beautiful residential road, West Bridgford at its best, better at the top of course. How distracting for its residents while watching telly to see the same faces trotting past….they must be used to it by now? No one ever offers you a cuppa though! Ten times up and down is our record….boom ! Organised by the 1st Keyworth Scouts, its a masterfully planned event. The race guidance sent out can only be described as comprehensive. Even a reminder that ‘running kit’ is required ! The gradient graph of the course looked scary but with my limited knowledge of nearby Keyworth and the surrounding villages (which I know only from the road signs I bypass on the A606) meant the course blissfully registered nothing in my mind. I had no desire to drive the course….just let it be a voyage of discovery, a magical mystery tour of my own locality, just follow the runner in front. 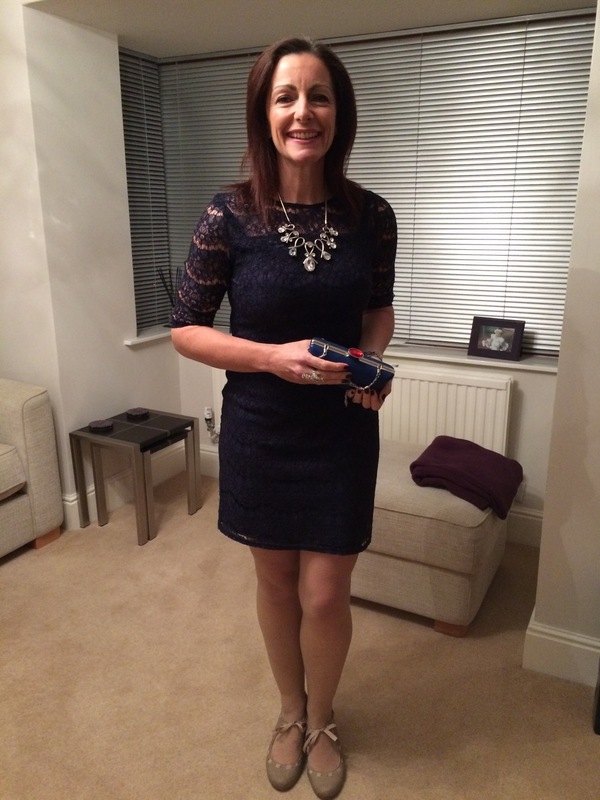 Weather was a huge worry to me, could I face my nemesis (an icy pavement) if you’re my blog follower you’ll know that after a terrifying slip, black ice scares me….December we could be running in the snow. The gorgeous reality was the weather couldn’t have been nicer, not too cold (8 degrees), dry and sunny. Ellie and I made a pact to run this one together, no time pressures, just bank the miles. Naturally as the race got closer, every part of my overly competitive being was cursing my relaxed approach. 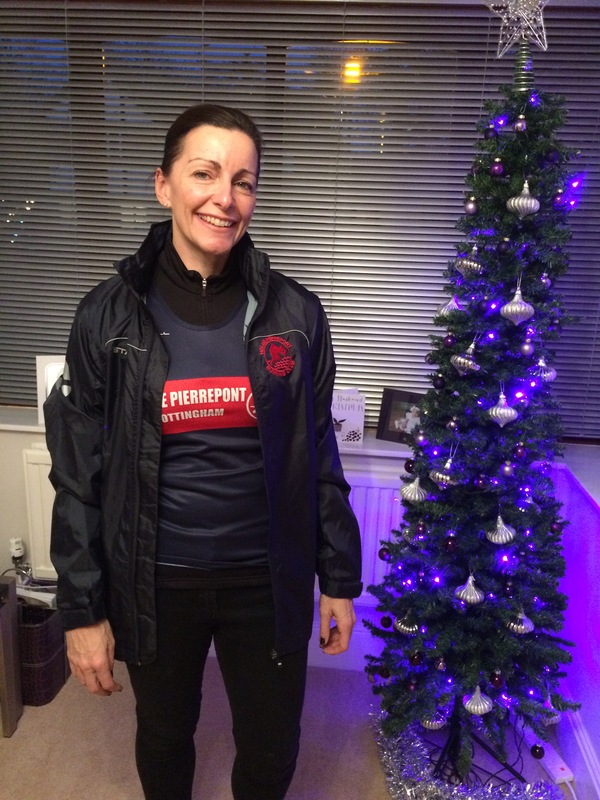 I’d finally bought a running club vest, how could I wear it for the first time knowing I wasn’t giving it my all ! Still, its nearly Christmas, work is manic, I get the brunt of the shopping and the entertaining so actually , I really can’t risk being ill or injured, it was a safer strategy. We cheekily nipped into the last parking space of car park 1 and hopped on to a mini bus up to the local secondary school. We could have walked, might have limbered us up, but hey, the driver was waiting. It was busy, crammed into the local school hall and gym with the unusual smell of coffee and deep heat permeating the air. Despite that we spotted two Notts Women Runners, the FB crew, eager for the off. and the starter was a little perturbed that we weren’t moving quickly enough to be in place pre start time. With some very fit running chaps glaring at us and facing us, we figured we were probably facing the wrong way on the wrong side of the arch! The deal seemed to be affluent village, country road, hill, drop into next affluent village.I love property shows so admiring the creative new builds worthy of a feature on Grand Designs kept me occupied. The village residents turned out to support the annual event and there were lots of children with trays of jelly babies. Seemed rude to ignore them so we sampled a few having never tried the art of ‘slow down, smile at children, select colour, say thanks and eat jelly baby on the run’ before. We ‘high fives’ a few older kids too, just so there efforts of standing for an age outside their houses wasn’t totally futile. We had settled in behind Mr and Mrs Santa, a young (and I’m guessing couple) in Santa outfits, two of the rare fancy dress runners. They annoyed me though. Some of the much younger children were very excited to see Mr and Mrs Santa heading into their village ,but these guys didn’t acknowledge them at all, they didn’t wave, they didn’t shout hi, they didn’t high five them……Christmas costume and no Christmas spirit, what’s the point of that? Plus Mrs Santa, gave one of the most gross snot clearing spits I’ve seen…..and heard (eeeewwwww) fortunately she did it out on a country lane and not in a middle class village in front of any small girls dressed in Frozen costumes. Ellie was terrified of a knee injury that stopped our last long training session in its tracks ( 10 miles run, 3 miles walk ) and so we eased back a little after mile 7. The Robin Hood was Ellie’s first half and she ran in 2.10…….I knew we were ahead of that! By mile 8 we were caught on a hill by a ‘ heavy breather’ ,you know the ones in a race, you can hear the coming from behind for what seems an eternity. You can’t breathe yourself as its so off putting. You wonder how they run like that and if you’ll need to call an ambulance when they collapse in front of you ….. And then they pass you. To make matters worse, this lady had a huge bottom. Without saying anything, me and Ellie knew that if this lady could haul such a large bum up a hill quicker than us we were clearly slacking and not surprisingly we were ahead by the brow of the hill. We had to stay ahead too, I couldn’t listen to the huffing and puffing again. At mile 10, Derek, a friend of both myself and Ellie, lifetime runner and HPP regular joined us for a little chat and then ran on ahead. I’m guessing he’s in his late 60s or maybe 70s? His granddaughter is a school friend of my daughter so I knew she’d love it when I told her ‘Millsies’ grandad passed us at mile 10! A nice lady chatted clearly as she struggled. She said it was her 6th Turkey Trot and she’d never nailed a sub 2, always close. Ellie had no idea we were even close to 2, she thought we were being super slow as agreed. When I said that actually we were close, could go either way, that certainly enthused her. We came back into Keyworth via a road I didn’t know, but what suddenly dawned on me was that the way back to the school was up hill. At this point I had definitely had enough of hills, my legs were tired. As we turned to the hill, Ellie wobbled, knee pain, feeling sick. I put on my best military fitness instructor routine, any spectators must have thought I sounded horrible……’come on, no pain no gain,’ …..’you can’t be sick now, everyone’s watching’ ……we made it, bang on 2 hours !! And a gift from Santa at the end, nice touch. Now the prizes for this race have been questionable over the years so I hear. Mugs, mouse mats and the like. No medals? 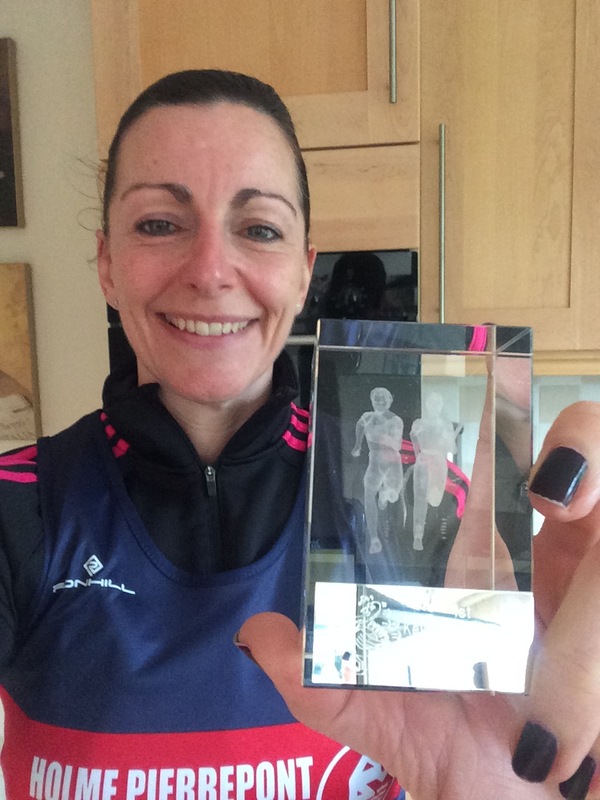 Everyone likes medals, well we ladies do….so what on earth had we got. Actually an awesome glass paperweight with 2 3D runners in it. A really nice prize. Not only that, but free hot soup too. Ellie was thrilled 10 mins off her time in a couple of months ( I knew that at some point she’d be thinking, just up one hill a little quicker and it would have been 1.59….. Or maybe that’s me!) as she pointed out to me later, I did run up the last hill backwards. It’s not a medal, but I love it. Thanks Santa ! We were going to walk back down to the car park to loosed off,but hey, that mini bus driver was there again. 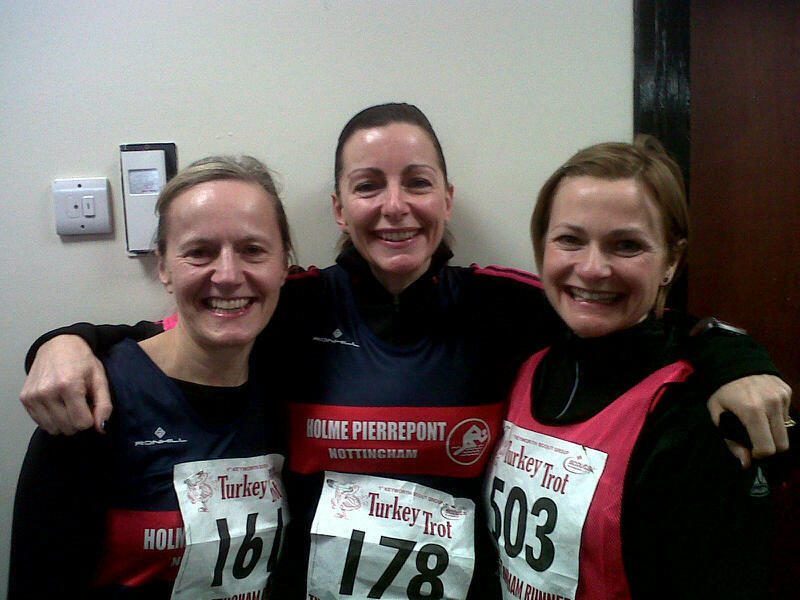 Turkey Trot done,now it’s Christmas, get the Stilton out, unleash the port and somebody open the mince pies! Now someone bring me champagne and a mince pie !